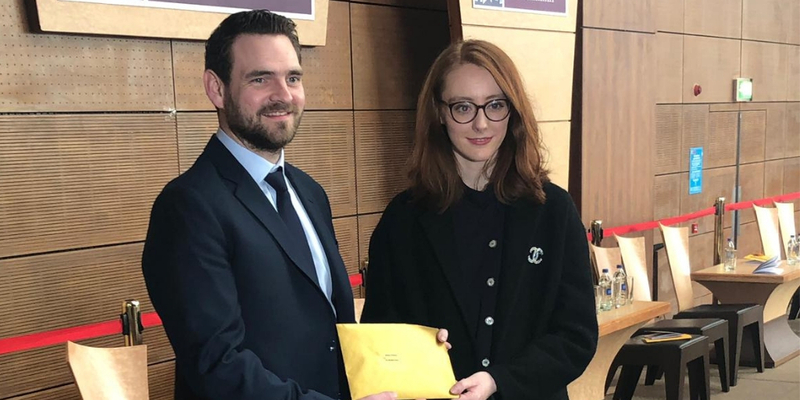 Law graduate Alison O’Brien has been named this year’s winner of the annual LK Shields Hugh Garvey Memorial Award for Intellectual Property Law. Cathal Hester, associate solicitor at LK Shields, presented the award at a ceremony at NUI Galway on Saturday. The award is named in honour of Hugh Garvey, a former managing partner of the firm who passed away in 2016. It is granted to the student who achieves first place in IP law in their course.